The Gateway to the Redwoods! 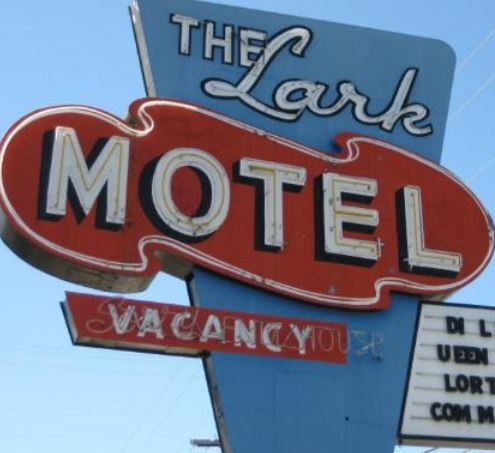 When driving through beautiful Northern California on scenic US101, you will find the The Lark Motel on South Main Street (US 101 and Route 20.) The Lark Motel is close walking and driving distance to several dining options including fast food, cafes and a coffee shop. Also we are close by the casino. All of the clean and comfortable hotel rooms at the Lark Motel have Complimentary Wireless Internet, coffee in the room, AC, Hairdryer, and Cable TV with HBO. Some rooms have mini refrigerators and smoking rooms are available. Our rates are always affordable and children under 10 always stay free at the Lark Motel. We take pride in our competitive rates and friendly professional service. If you are looking for comfortable and affordable basic hotel/motel accommodations for your visit to the redwoods area of Northern California, look no further than the Lark Motel. Whatever brings you to Willits: business, family, tourism, headed to the Redwoods or just passing through, we invite you to stay with us and we can't wait to see you!